Brian Fennessy became Fire Chief of the Orange County Fire Authority on April 16, 2018. Chief Fennessy began his career in 1978 with the US Department of Agriculture's United States Forest Service and the US Department of Interior’s Bureau of Land Management working as a hotshot crewmember, hotshot/helishot/helitack captain and ultimately crew superintendent. In 1990, Fennessy joined the San Diego Fire-Rescue Department (SDFD) and ultimately became Chief of the Department in 2015. One of his many accomplishments while with the SDFD was developing & establishing a multi-mission Fire/Rescue/EMS helicopter program designed to serve the citizens of the City of San Diego and the region. Chief Fennessy has enjoyed a diversity of executive leadership and management experiences in both the wildland fire and metropolitan fire service communities. He believes that Mission-Driven Culture (MDC) is the future of the fire service and has presented on this topic at a variety of local, state, and national venues. Chief Fennessy has a Bachelor of Science Degree in Business Administration and has participated in hundreds of Fire Service, NIMS, and Incident Command Systems courses throughout his career. 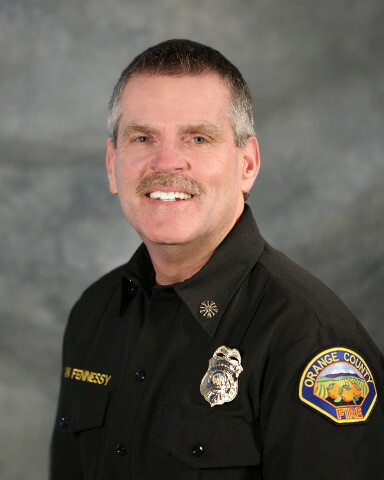 Fennessy has also completed many specialized leadership-training courses, including the International Association of Fire Chiefs (IAFC) Fire Service Executive Development Institute (FSEDI) program and for the last ten-years, represented the IAFC on the NWCG Leadership Subcommittee. Chief Fennessy has held multiple Incident Command System (ICS) certifications and positions, has also served on National Incident Management Teams, and developed one of the first All-Hazard Incident Management Teams (AHIMT) in the US. Deputy Chief Dave Anderson began his career as a reserve firefighter for the San Clemente Fire Department in 1988 and became a career firefighter in 1991. Three years later, he transitioned to the Orange County Fire Department as a firefighter/paramedic. Before being named Deputy Chief on August 31, 2018, Chief Anderson promoted through the ranks of Fire Captain, Fire Investigator, Battalion Chief, Division Chief, and Assistant Chief. Chief Anderson has served on CalFire Incident Management Team, CA-TF5 Urban Search and Rescue, Firefighter Academy Instructor, FIRESCOPE Emerging Information Technology, and Battalion Chief over the Emergency Command Center. Chief Anderson was named firefighter of the year in 2003. Chief Anderson has a Bachelor of Science Degree in Business Administration and a Master’s in Public Administration. Lori has been with the OCFA for 21 years. Prior to promoting to Deputy Chief in 2018, she worked through the financial ranks starting as OCFA’s Assistant Treasurer in 1997, then Treasurer from 2000 to 2004, followed by her service as Assistant Chief over Business Services from 2004-2018. 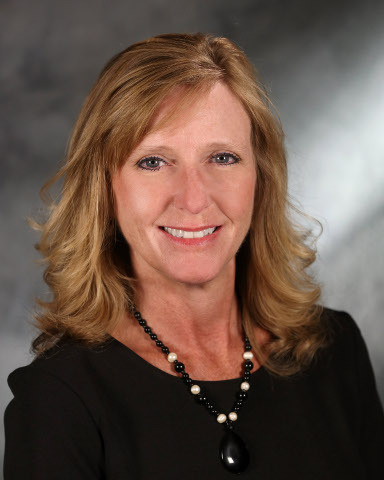 Lori holds a Bachelor’s Degree in Business Administration from California State University/Fullerton and she completed the Senior Executives in State and Local Government program at Harvard University’s Kennedy School of Government. Lori has been married to her husband Jay for 26 years and has three sons (Jeff, Drew and Justin). Lori Smith serves as the Assistant Chief & Fire Marshal. She has over 30 years of experience in the fire service, having served 12 years in management and executive management positions. She is a Cal State Fullerton graduate in Political Science and also holds a degree in Computer Information Systems and Fire Administration. She is a graduate of the National Fire Academy Executive Fire Officers program. 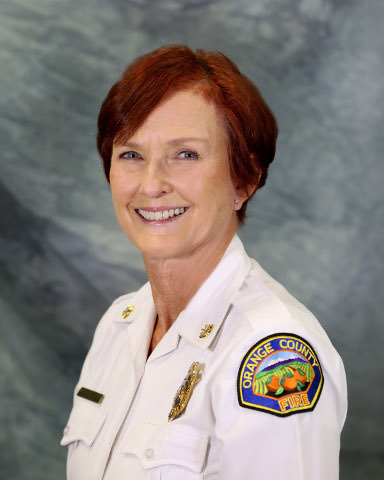 Human Resources Director Brigette Gibb joined the OCFA family in 2014, after serving the City of Anaheim for 21 years. Her human resources career began in organizational training and development, and evolved into employee and labor relations, recruitment and selection, classification and compensation, and benefits. She started her public-sector career as a teenager working for the City of Monrovia as a lifeguard, swimming instructor, and recreation leader. She also had the pleasure of serving the cities of Sierra Madre and Irwindale. Brigette is a certified Labor Relations Master (CalPELRA) and holds two degrees, a Bachelor's from California State University, Long Beach and a Master's in Public Administration from California State University, Fullerton. Pokey Sanchez has been with the Orange County Fire Authority for over 30 years. Throughout those years, he has served the agency in a variety of positions, most recently for over 11 years as a Battalion Chief. Chief Sanchez has extensive experience in administration and incident management. He worked his way through the ranks, starting as a Paid Call Firefighter before becoming a career Firefighter, Firefighter/Paramedic, Assistant Fire Training Officer, Fire Captain, Battalion Chief, and Training Chief. 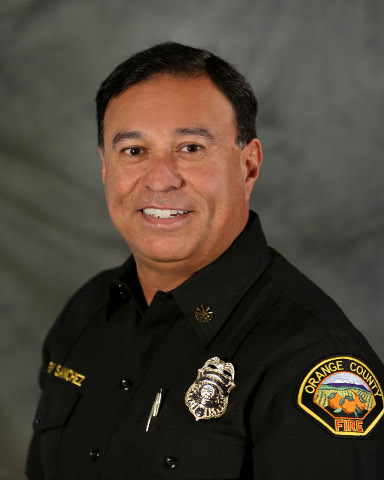 Chief Sanchez has served on CA-TF5 Urban Search and Rescue, Firefighter Academy Coordinator/Instructor, Fire Captain Academy Coordinator/Instructor, Battalion Chief Academy Coordinator/Instructor. He is currently a FIRESCOPE representative, COA representative, CSFM SFT instructor, Incident Commander Type 3, Operations Section Chief Trainee, Division Group Supervisor, Strike Team Leader and is involved in numerous other committees and associations. As a self-motivated chief officer with a record of success in leadership, he is able to develop effectiveness, efficiency, and maturity in subordinates through innovative leadership style. Chief Sanchez encourages free flow of ideas and cooperative resolutions to problems through strong teamwork. For this, he was named Orange County Fire Authority's Manager of the Year in 2012.